Order shutter hinge 2" Non Mortise Flag for your interior wood shutters. 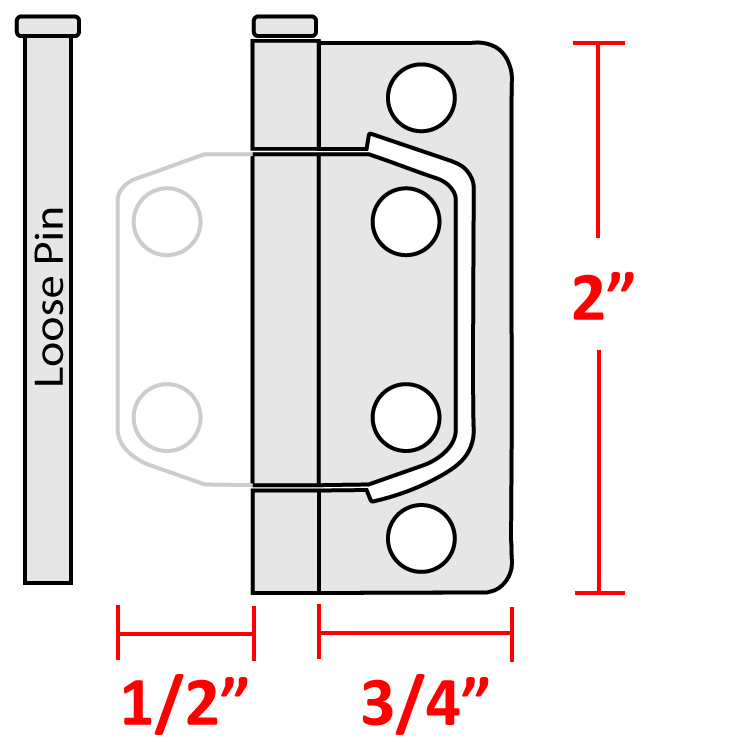 Because these are non-mortise hinges, there is no cutting or special skills required to install them. 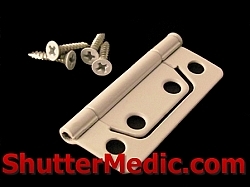 Simply screw them to your shutter panel and frame using the screws provided. was so pleased to find replacement hinges for my shutters...my local home improvement stores did not carry the size I needed.... all went well,...my shutters look great.. I shopped all the local hardware stores with no luck finding these hinges. After some searching on line I found your site. The hinges were absolutely perfect , the price was terrific and I received them quickly. Thank you so very much!! These was a well-made shutter hinge that sucessfully replaced a slightly different hinge that had rusted out. The staff at Shutter Medic was extremely helpful in finding a hinge that would work for me - I recommend the whole experience highly! I was so happy to find this site. We recently moved into a new home and the shutters had brass fixtures. The hinges were perfect! Fast delivery. Very happy. Very fast shipping and a quality product.